This may be a little biased but I believe that New Orleans is the best city in the world. The food, music and all around culture of this beautiful town is unlike any other. People who are planning to visit always ask me for advice on what to do so I put together this guide of my favorite things. For over a year it’s been tucked away in a folder on my laptop but here it is for the world to see. I hope everyone gets the opportunity to experience this gem of a city. Jackson Square – You can’t miss it. It’s located on Decatur Street (across from Cafe Du Monde) and on most Saturdays you can witness some beautiful outdoor weddings. Learn more here. Ride the St. Charles streetcar – For just $1 you can head to the Garden District and enjoy the beautiful architecture. You can find a map and schedule here. Stroll through a cemetery– New Orleans cemeteries are unlike any others. The tombs are above ground and absolutely beautiful. Check out this map of cemeteries courtesy of Curbed New Orleans. Fun fact, the renowned Voodoo priestess Marie Laveau is believed to be buried at St. Louis #1 cemetery. 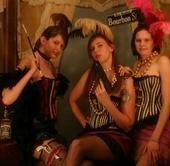 Check out neworleanscvb.com for other ideas and a calendar of events. – If you’re in a restaurant and haven’t finished your beer, no problem just take it with you! – Hand grenades are our specialty drink and can only be found (authentically at least) in New Orleans. Pace yourself b/c they are strong (and very sweet). – We are very proud of our football team so if you’re a Saints fan there’s no end to the paraphernalia that can be found. 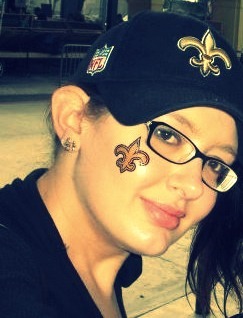 Who Dat?! – If you’re easily offended then stay away from Bourbon Street. There’s plenty of bars and strip clubs where, throughout the day, ladies stand on the street to entice passerby’s to step inside. If you’re laid back, however, enjoy the show! 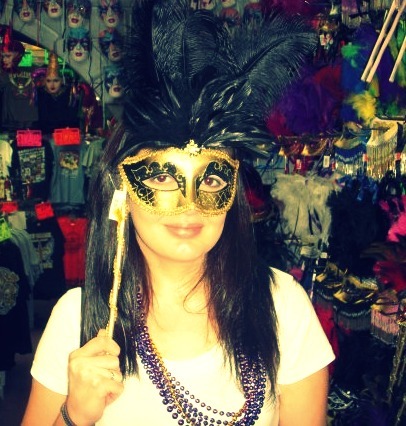 I think that everyone should visit New Orleans at least once in their life so they can experience the rich culture that only the Big Easy has to offer. Whether it’s for the jazz and history or the liquor and night-life, there really is something for everyone in good ole’ Nawlins. Prev Bad Starbucks Decorum…Seriously, Stop It! Great guide Ashley. I’ve never explored New Orleans in-depth, so this will give me a nice head start on planning the trip. Thanks! Great choices! Nice to see another N. Fulton fan of the area!